Here's a pedalboard I did for a client back east, who will be using this rig with a variety of Dumble, and Dumble style amplifiers. 18" x 37" | 42 lbs. 12 oz. 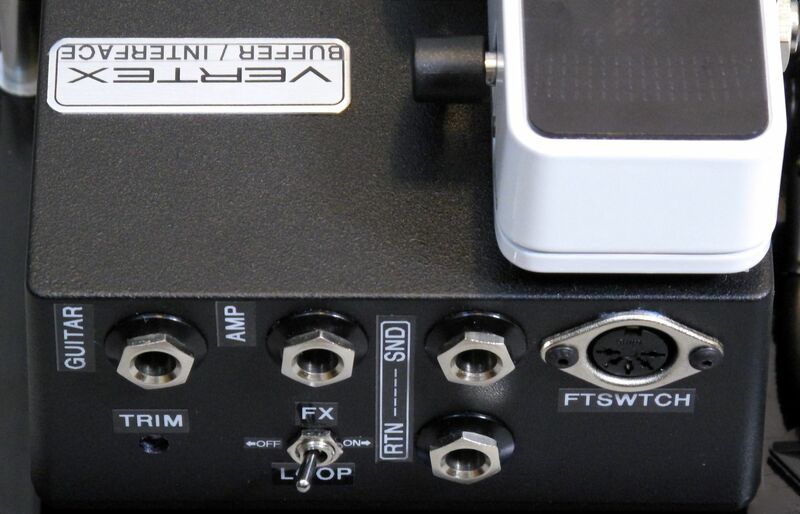 Vertex Dual Buffer (single input and ouput buffer) with a passive input for the Wah, and a selectable effects loop to allow for the Lex, Timeline, and Flint to be run in an amp effects loop, wet/dry, or in series with the rest of the pedals in front of an amp.